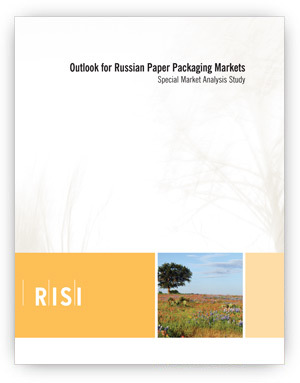 Outlook for Russian Paper Packaging Markets - Fastmarkets RISI - Objective Insight. Better Decisions. 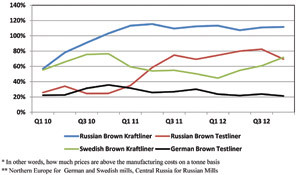 The Russian paper packaging markets grew at double-digit rates until 2009. However, growth has slowed since then, due to the weak recovery of the global economy. Despite the temporary slowdown, the Russian containerboard industry remains strong, particularly when compared with the Western European market. 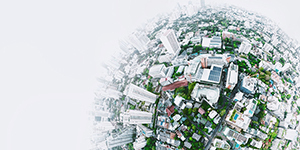 Fastmarkets RISI’s new study identifies the drivers of the growth in the Russian market and examines future prospects. 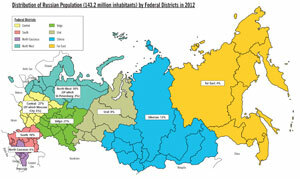 Due to increased investments, Russian paper packaging producers have been consolidating. In 2012, based on real production, the top-10 largest producers in the Russian corrugated industry accounted for 50% of the market, up 16% from 10 years ago. 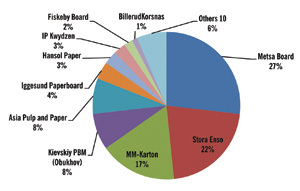 Similarly, the top-10 Russian containerboard producers, had around 70% of market share in 2012, up 20% from 10 years ago. The Outlook for Russian Paper Packaging Markets analyzes the key producers; identifying their strengths and weaknesses for end-users and aiding producers with their competitor intelligence. While the containerboard market in Russia is almost entirely supplied by Russian companies, the cartonboard market is dominated by European producers, because of limited domestic production capacity. However, over the last five years Asian producers have increased their footprint in Russian markets, with their share growing to 12% last year. Given the ongoing capacity expansion projects in the Chinese cartonboard markets, it is highly probable that European producers will find further competition, from overseas producers, in Russia.